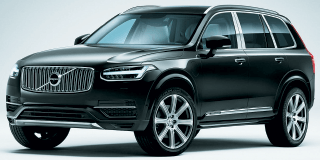 The XC90 Excellence is the flagship version of Volvo’s flagship car and it is the company’s bid to become recognised as a true luxury carmaker, one mentioned in the same breath as Range Rover or Mercedes. “We have created the ultimate luxury experience of Scandinavian design. Volvo has never launched a car like this before. This is the car that demonstrates what the name Volvo now means,” said senior vice-president of design Thomas Ingenlath. The car, destined to go on sale globally after its official unveiling in China at the Shanghai International Automobile show on April 22, clearly has wealthy Chinese potential owners in mind. For example, the standard XC90 has three rows of seats. But for the Excellence, rather than extending the wheelbase like Land Rover does for its luxury models, Volvo has jettisoned the third row of seats altogether and ditched the middle chair in the second row so that the car becomes a four-seater with acres of legroom in the back, rear footrests and individual chairs that recline, deliver massages and offer ventilation. This is crucial. The majority of owners will be travelling in the back while their driver deals with congestion. The other nod to China is the integrated ionic air cleaner that flushes out smoke or dust particles and keeps cabin air fresh. Other features that the super rich take for granted are all present. The cup holders automatically heat or chill a beverage. There is an integrated fridge and a set of handmade crystal glasses. There are deployable tables for working, integrated screens in the backs of the front seats and a retractable tablet-like control panel. Volvo has also paid special attention to soundproofing, through better insulating the cabin and adding a dividing screen between the rear seats and luggage space, and through the use of special Pirelli tyres. The premium sport utility vehicle (SUV) market is about to get very crowded. At the New York Auto show, Land Rover unveiled its SVAutobiography, the most luxurious production Range Rover in history, and later this year, Bentley will unveil the production version of its much hyped Bentayga. Rolls-Royce is also developing its first SUV, but the finished vehicle is not expected to arrive until some point in 2017. Whether or not Volvo will be able to compete in this very exclusive market remains to be seen. It is yet to reveal any details about bespoke customisation, for example, a service that Rolls-Royce and Bentley owners take for granted. This article first appeared in The Edge Financial Daily, on April 16, 2015.